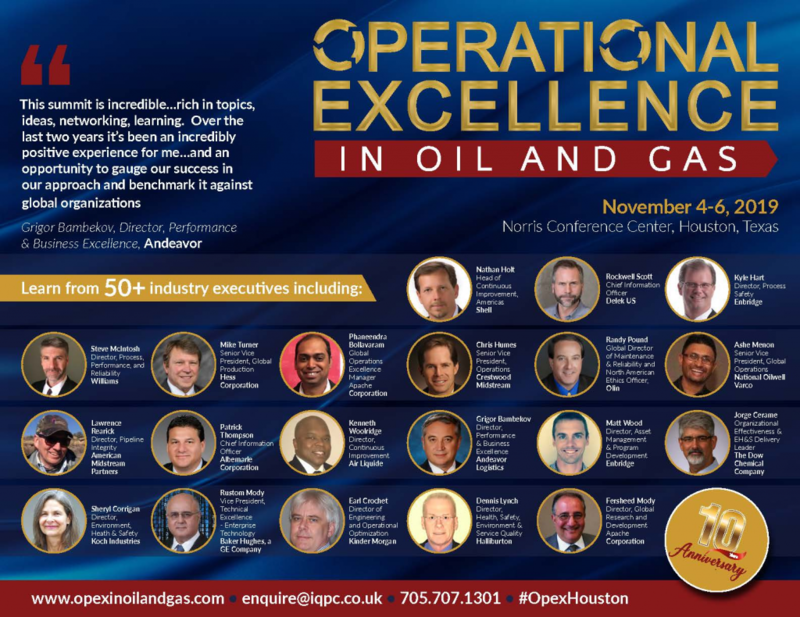 The 10th Annual Operational Excellence in Oil & Gas Summit is returning to Houston, TX, this November 4-6, 2019. Over 300 heads of Operations from North America's oil and gas industry will be gathering to discuss the latest strategies for managing change, increasing efficiency and optimizing productivity - without compromising reliability, safety, and compliance. This is your best opportunity this year to benchmark against your peers and walk away with the tools you need to eliminate inefficiencies, reduce operational risk and build a sustainable culture of operational excellence. Fill in the form to download the 2018 Agenda!